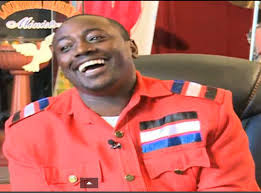 Contentious televangelist ‘prophet Dr. ‘Victor Kanyari who is infamous for his beguiling phrase ‘panda mbegu ya 310’ came to the drew Kenya’s attention exactly a year ago after his repugnant and hideous miracles were exposed to the public. The phony pastor of Salvation Healing Ministry has been off the limelight for a while. His church members reduced tremendously and his wife, Betty Bayo also called it quits in their marriage. In a recent interview, the form 2 drop out who calls himself a doctor revealed that he and Betty Bayo parted ways because of the scandal but the two are still close friends. The scandal really ruined my life, though they were all lies. In fact those behind it were my workers and some of them are now seeking forgiveness. People have been claiming that we parted way after the scandal but we are like any other family that faces problems and take time to think of the next move. In fact we are good friends and hope one day that things will change.